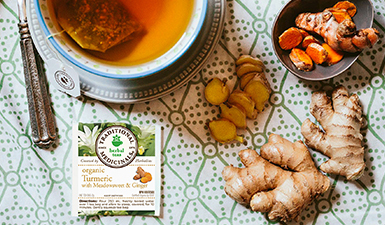 Since 1974, Traditional Medicinals has been dedicated to bringing the benefits of natural herbal medicine to homes and teacups everywhere. Founded with an earnest commitment to revitalize the use of traditional herbal remedies made from high-quality medicinal herbs, Traditional Medicinals has worked for over 40 years with trained herbalists to bring you the best medicinal herbal teas to support health and wellness – all in a soothing cup of warm tea. When you’re feeling under the weather, a steaming mug of tea is the perfect comfort. And with Traditional Medicinals teas, you get more than just the soothing warmth of your typical tea, because these medicinal herbal teas are specifically formulated with rigorously-tested, organic herbs to meet Traditional Medicinals’ strict quality standards. 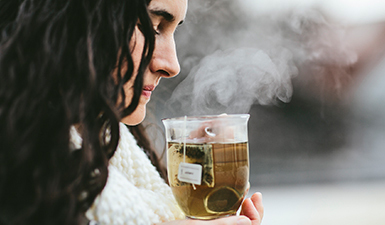 So when you sip these teas, you’ll know you’re getting the full benefits to support your health, whether you’re seeking relief from cold or flu symptoms, digestive support, or a good night’s sleep. Since the start, Traditional Medicinals has been committed to supporting nature as much as nature supports us. With a longstanding dedication to sustainable practices, they consider social and environmental sustainability in the sourcing of every ingredient. With a preference for high quality, medicinal-grade, certified organic, Fairtrade or FairWild, and Non-GMO Product Verified herbs, only a small fraction of the world’s herb supply meets their high quality standards. And beyond responsibility to our planet, they are also committed to responsible social practices, with programs to support indigenous communities and empower women in the communities where they source herbs. 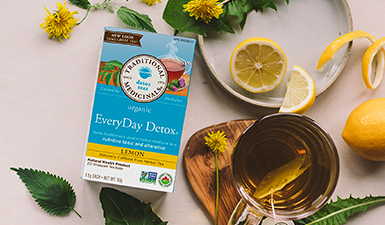 Whether you’re looking to address specific symptoms, support a healthy lifestyle, or just fancy a delicious cup of organic herbal tea, Traditional Medicinals teas are the perfect choice. Shop London Drugs’ wide selection today and choose one of these professionally formulated teas, and you can rest easy knowing that the tea you brew has been carefully blended from high quality, sustainably sourced ingredients from Mother Earth.